CP-Symbols Flowcharts and diagrams contains symbols that are used in block schemes in many branches. ACADocfa è una applicazione che permette di redigere rapidamente la planimetria catastale e l’elaborato planimetrico da esportare nel programma DOCFA (DOcumenti Catasto Fabbricati). Non occorre installazione e il programma si compone di un unico comando con interfaccia grafica. Handy tool to create and manage viewports in your drawings. 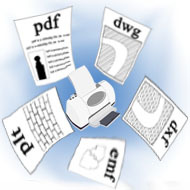 Full Featured and Professional DWG/DXF to Digital Print Converter! Eine Sammlung nützlicher Funktionen: Layerbasierende Bemassungsstile, Alternative Layersteuerung, Automansfen, Objektexplorer, Layoutmanager. Convert engineering and technical drawings to Adobe PDF. Simply load your Plot, DWG/DXF or TIFF files in to Plot2PDF and export PDF which anybody can view with Adobe Acrobat Reader. Viewer and Converter for Hoops Stream Files, STL, OBJ, PLY, OFF to DXF, PDF, STL and PLY. Views 3D-Files from SolidWorks EASM, EPRT and converts them to AutoCAD DXF files. Imports Word document into ZWCAD. Plan2folio is a software that enables the generation and the quick ploting at scale of sheets set. Parceller is a software that enable to compute and generate Voronoï diagrams and the associated Delaunay triangulations. ITEXT is a software that enable to number easily, and in many ways, a set of texts. Engineering Document Management and Collaboration Software. Auto-layering, and dozens of powerful commands and macros increase your productivity for any kind of work. Many toolbars are provided, along with configurable Options, a Macro Help dialog, and extensive Help system. AutoTable can import Excel worksheet into ZWCAD and modify it with Excel at anytime. Link / import / insert the ZWCAD Attributes from Excel spreadsheet. InnerSoft CAD is a plug-in for ZWCAD+ that installs a set of productivity tools for Civil and Survey engineering, Counting, Estimating and measurements in construction project budgets. Scalypso is a software suite for the reconstruction of CAD geometry out of 3D laser scan data. It supports with a wide range file formats and comes with a build-in real-time interface to ZWCAD+. The software suite provides a set of powerful but easy to use tools, including methods for format transformation, scan registration, 3D data analysis, CAD reconstruction, and the management of 3D laser scan projects. The station-based handling of 3D point clouds allows the creation of as-built documentation with an unlimited number of scans. 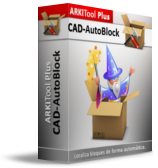 This program lets you locate and automatically generate blocks with a selection of drawing entities. Batch Print is a batch CAD drawings print software tool, it can be widely used in Mechanics, Electronics, Architecture, Survey, Decoration industry, and can significantly reduce your manual labor and save papers and money. Batch Print provide ActiveX development interface for user, and supply integrate use with PLM. PSTools+ is a free data extraction tool for adding and extracting data from drawings to ZWCAD+ tables or Excel. DWG Columns freeware shows the DWG and DXF version in Explorer columns or in file dialog boxes within ZWCAD+ or other applications.